Your roof’s lifespan depends on many factors, from proper ventilation to climate conditions, but if your roof looks old and worn, it may be time for a replacement. Your roof’s aging largely depends on its material. A highly durable material, such as concrete, likely won’t need replacing during its lifespan. On the other hand, materials like asphalt, wood, rubber, and metal do. A leaking roof leads to a slew of consequences. 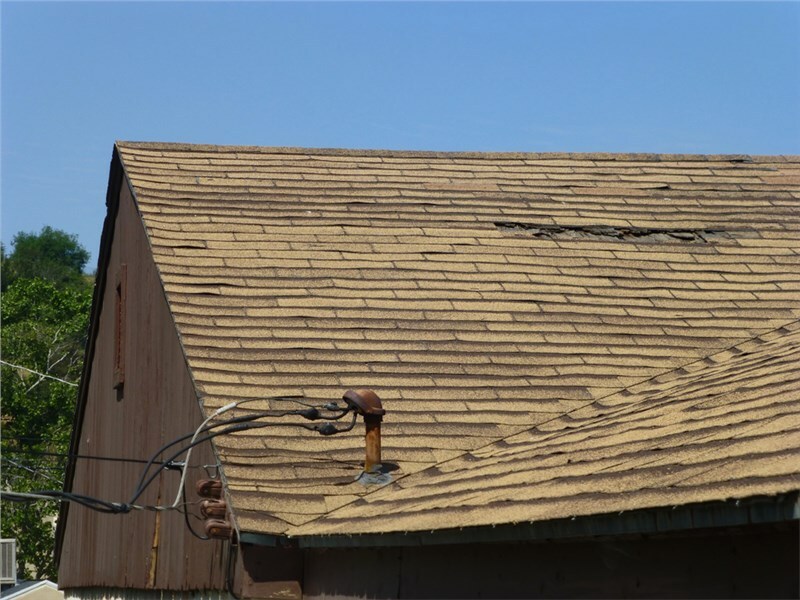 When water makes its way through roof shingles, the plywood beneath weakens and rots, causing a sagging roof line. This can deteriorate your roof and cause serious problems. In D.C., where flat roofs are common, cold weather can freeze drains and trap water within the roof system. This can lead to roof flashing and water leaks, making it difficult to discharge the drain without causing damage. Wind, hail, and rain incrementally cause problems. If you’re noticing your neighbors (whose homes have experienced similar weather conditions as yours) are getting new roofs, this might indicate that your roof needs to be replaced. In addition to being unsightly, damaged or missing shingles can pose deeper structural issues for your roof. Some concerns to look out for are curled edges, cupped shingle tabs, missing granules, crumbles, and cracks. These problems can expedite your roof’s water damage, making your need for a replacement more immediate. Look out for uneven spots of color. This could indicate eroded asphalt, algae, moss, or mold. Besides being an eyesore, moss can also damage the granules on your roof’s shingles by retaining excess moisture. Mold can also spread throughout your home and lead to health concerns, including asthma and nasal congestion. Sometimes homes aren’t built as meticulously as they should be. Construction mistakes can cause long-term structural problems leading to chronic maintenance concerns—and even future roof replacements. Proper workmanship is a key predictor of your roof’s lifespan, even more so than ventilation and materials. If you suspect there are errors in your roof’s construction, contacting the original builder might be useful before moving forward with a replacement. If your roof is experiencing any of these 6 signs, it’s likely that you need a roof replacement. Here in Washington, D.C., Maggio Roofing makes taking the plunge easy and affordable. From minor roof repairs to full roof installations, we’re committed to superior workmanship and service—all while keeping your budget in mind. Choosing us for your next project will leave you with the premium, unique results you’ve been looking for.